Years ago, when a couple parted ways, it was simply assumed that the children would live with their mother and have visitation with their father. Typically, the father’s visitation with his children was for two weekends per month and if feasible for him, a “dinner visit” during the week. This left the mother feeling overwhelmed with the “day-to-day” tasks and the father feeling as if he did not see his children nearly enough. The good news is that this trend seems to be changing. In fact, many of the previous “trends” have begun to change. 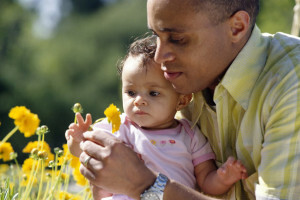 See our other article on child support and custody for another changing trend. Why the change? Family structures are moving away from having a “stay at home” parent, most likely as a result of the economy and the changing needs of society. Most families are not able to make ends meet with one income, thus forcing both parents to work outside the home. The end result at home is that the household duties and the parenting are more evenly shared by the parents. How does this factor into divorce? If the time comes for separation or (for more on divorce tips, see our page on divorce, and there are now two households to support, the need for two incomes becomes even greater. The sharing of parenting also becomes more important, since it cannot be expected that one of the parents is able to both work and take full responsibility for the parenting duties. This could result in the parents sharing physical custody of the children. If the children were being co-parented during the marriage, shared physical custody is entirely appropriate at divorce. There are many things that the parents must do in order to make this arrangement work for both them and the children. Most importantly, each parent must be able to communicate with the other to ensure the best possible environment for the children. If the parties agree and can make this arrangement work for the children, the Court will certainly accept it. You can seek shared physical custody if your spouse does not agree, provided that your situation warrants a shared physical custody arrangement. Recently, I represented a husband, whose wife did not want to share physical custody of the minor children. Theirs was a marriage where they equally shared parenting duties and thus, we argued that shared physical custody was appropriate and in fact, an arrangement with which these children were already accustomed. The Court agreed and granted shared physical custody to the parents. Fathers contact me every day to discuss their divorce matter, most assuming that they will not see much of their children in the future. Mothers contact me every day too, worrying that there is no way they can work to support their household and still manage to give their children the attention that they require. A shared physical custody arrangement may be just the solution to either problem, but certainly, something worth looking into. Paternity: How can I establish paternity of my child?